WASHINGTON — At the rollout of Open Doors USA’s annual top-50 list of countries where Christians are most persecuted, Christians from Africa, Asia and the Middle East shared how persecution has affected their families and communities. Last week, the nondenominational ministry that monitors persecution in more than 70 countries, released its 2019 World Watch List at an event held at a Heritage Foundation office in Capitol Hill. As was the case in past years, Open Doors invited Christians from different countries to share their own stories of persecution. 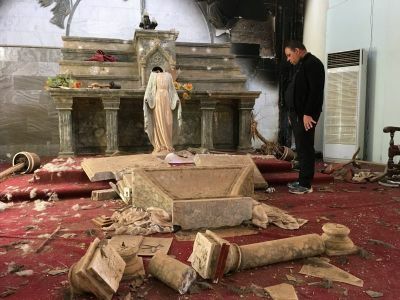 The Christian Post spoke with believers from India, Iraq, Nigeria and one undisclosed South Asian country about the violence they and their communities have faced.